Excellence Resorts offer adults-only all inclusive honeymoon, vacation and wedding packages in Punta Cana, Cancun, Playa Mujeres, Riviera Maya, and Playa del Carmen. CMTravelonline highly recommends Excellence adult-only resorts which are perfect for honeymoon vacations, all inclusive Caribbean Weddings, or a romantic, fun, stress-free getaway. Experience the finest in all inclusive luxury at Excellence, the premier adults only resort group. Excellence Group Luxury Resorts transports you to a world of romance and tranquility. 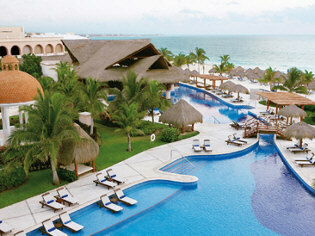 Excellence Resorts are located in the most exquisite spots in Cancun, Riviera Maya and the Caribbean. Excellence Resorts surrounds you with the lush romance of the tropics and impeccable personal service. Our philosophy is one of total wellness. In gourmet cuisine, transforming spa treatments, stunning accommodations and stellar service. Excellence is the very definition of a romantic getaway for two…a vacation lapped in 5 star luxury, personal attention and unparalleled comfort. 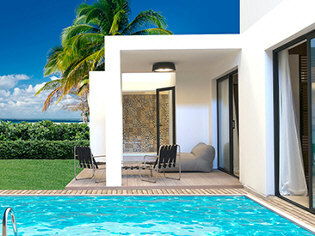 Coming Soon – Excellence Oyster Bay, Jamaica….. Excellence El Carmen is an all-inclusive, all-suite, adults-only luxury resort located on a secluded stretch of golden sand beach in Punta Cana. This resort offers the perfect tropical romantic getaway for couples seeking seclusion. Featuring 20 pools, a world-class spa and lush landscaping, Excellence El Carmen is the perfect setting for guests looking to relax and enjoy the pristine beaches where coconut palms meet the Caribbean Sea. Each suite is filled with deluxe amenities featuring an expansive terrace or balcony, oversize Jacuzzi or plunge pool and free Wi-Fi. Excellence Punta Cana is an elegant, all-inclusive, adults-only (18+), all-suite resort, located with a beachfront view of the beautiful Dominican Republic. This resort is a romantic getaway for couples seeking a different kind of vacation. Far from crowds and nestled in a forest of coconut palms, on a remote stretch of Punta Cana shoreline, this resort is perfect for an intimate getaway to paradise. 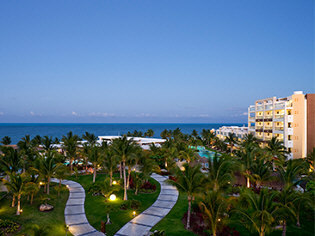 Offering unique amenities, such as moonlit horseback rides on the beach, live stage shows featuring Latin American music and dance and its own casino, Excellence provides the perfect playground for an escape in private, romantic paradise. 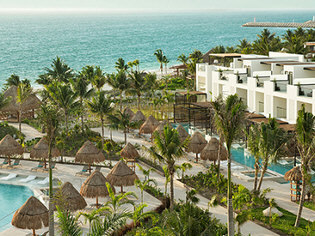 Excellence Playa Mujeres (Playa Mujeres, Mexico), is a romantic, all-inclusive, adults-only (18+) resort, nestled on two miles of powdery white sand beach in beautiful Cancun. In a resort community that boasts a 170-slip inland marina and a spectacular Greg Norman signature golf course right on the Caribbean, Excellence Playa Mujeres offers nothing but the best. Guests will enjoy a world-class spa and wellness center, seven pools and exciting dining options; with all the glamour at your finger-tips, choosing how to spend your days in this tranquil paradise will be your toughest decision! 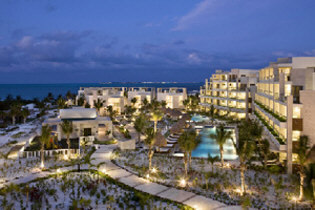 Excellence Riviera Cancun is an all-inclusive, adults-only, luxury resort, located in Riviera Maya. Bordered by sugar-white beaches and the crystal clear Caribbean Sea, this tropical oasis embraces beauty and splendor, perfect for a romantically secluded getaway. Guests luxuriate in spacious accommodations with each suite having at least one Jacuzzi, marble bathroom and a wealth of first-rate amenities; the perfect escape for couples seeking a vacation in romantic bliss. Finest Playa Mujeres by Excellence Group, an all-inclusive resort located on the pristine beaches of Cancun, is known for its elegance. Finest Playa Mujeres by Excellence Group offers a high level of luxury and comfort for couples, mid-size groups and families, without any age restrictions. 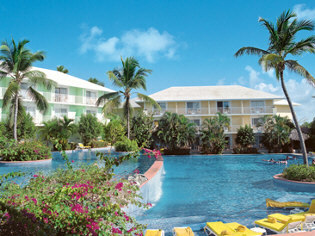 The resort provides a wide array of amenities, marking it as a fun, active vacation option. Beloved Playa Mujeres by Excellence Group is an all-inclusive, luxury resort located on a spectacular peninsula in beautiful Cancun. Offering guests easy access to a world of resort facilities, including a full marina, boating and fishing excursions and a seaside championship golf course, as well as an array of shopping and entertainment options, Beloved Playa Mujeres by Excellence Group is the perfect vacation spot for those who love the water. Featuring an extensive spa and fitness facility and a variety of fine dining options and 24-hour room service, this resort creates a relaxing environment with facilities and amenities that will appease even the most selective guests. Excellence Oyster Bay, Jamaica – In the pristine, tropical paradise surrounding Montego Bay, just 30 minutes away from the international airport, a breathtaking landscape of turquoise, Caribbean waters and mangrove lagoons is home to our very own private peninsula of all-inclusive luxury: Excellence Oyster Bay. Featuring all-suite accommodations, a variety of upscale restaurants and bars, a world-class spa and impeccable service, this adults-only, Victorian-style waterfront resort redefines luxury standards. Two miles of secluded, virgin, white-sanded beaches, lined by lush tropical vegetation set a romantic atmosphere, perfect for enjoying the most beautiful sunsets in the Caribbean. Discover Jamaica’s natural beauty, enjoy its friendly hospitality and experience the ultimate all-inclusive, adults-only, luxury at Excellence Oyster Bay.